This site was originally founded in March of 2011 around when I first started the Marrakesh campaign for my local gaming group. Since then I’ve been musing on writing, gamemastering, and role-playing in my spare time. One hundred posts and 23,736 hits later, it’s going stronger than ever. Thank you to all my readers: these articles are for you. Gamer swag from my interview! I’m excited to say that I have accepted an offer of employment from Fantasy Flight Games to join their RPG development team as an Associate Producer. I’m to be working on the upcoming Star Wars RPG and have to say, after being able to demo the Beginner Box with its creators during my interview, I can’t wait to play and develop this new version. 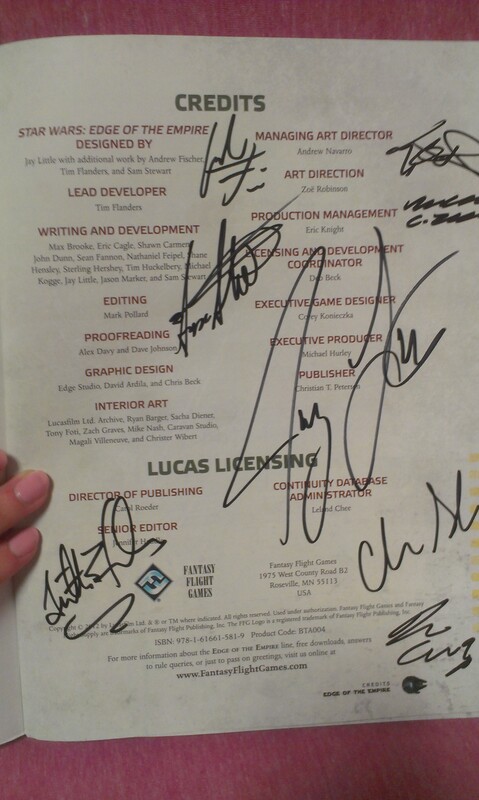 They sent me home with a signed copy of the Beta rulebook, which I’ll reading through in between homework and papers and tests. 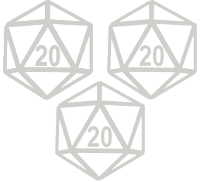 I’ll be running the included adventure, “Crates of Krayts,” for my gaming groups over Thanksgiving and finals week, which I’ll hopefully get to talk about here on my blog. So stay tuned for the upcoming revamp of Triple Crit to reflect my new professional identity and exploits!